I've been around on SWS since beta, and held back on posting on the forums till now. I thought I'd share what I like to call my "greatest learning experience". 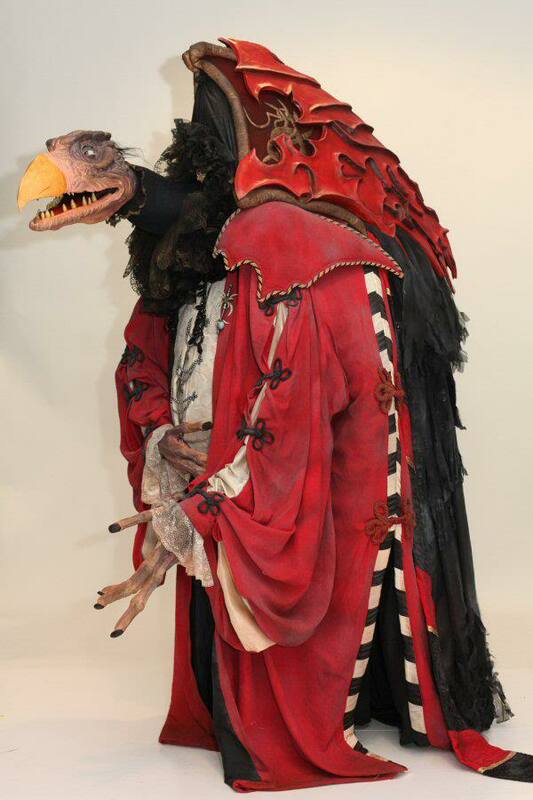 This is my upscaled for stage reproduction of the Skeksis chamberlain, Skeksil, with which I won at the finals of the Eurocosplay championships. Amazing work! This turned out fantastic! It's hard to estimate how long the build took as I was in full time employment at the time too. A lot of it was done at weekends and evenings, and even the occasional lunch break or train journey if there was sewing or beadwork I could just throw in a bag. Start to finish, including all the design work, it was about 8 months. You did a fantastic job. I really enjoy the design look of The Dark Crystal. Thank you so much for having the video with the post. I never knew how much an eye blink could add to a character! I will have to give that a shot on my next character! This is fantastic, it looks like it is from the movie. Your patience and hard work paid off. What is next? I look forward to seeing your next creations. They can only get even better, from here on!